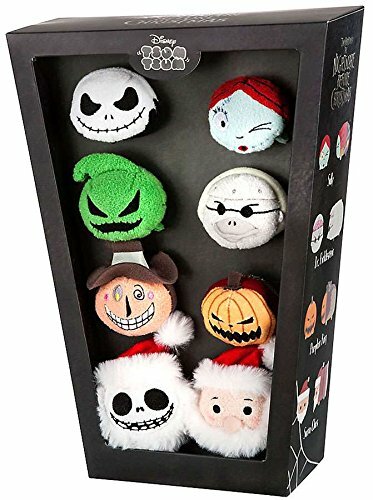 Here's another gothic Christmas gift suggestion - this coffin-shaped gift box of several Nightmare Before Christmas Tsum Tsum plushies. You get a wee Jack and Sally, Dr. Finkelstein and Oogie Boogie, the mayor, Santa Claus, Jack as a pumpkin king, and Jack as Santa. Or if you have a bunch of kids, take the plushies out of the box and stuff a couple in everybody's stockings!